The new Marantz NR1509 and NR1609 receivers support Alexa voice control, with the $749 NR1609 also including Dolby Atmos and DTS:X object-based surround sound. 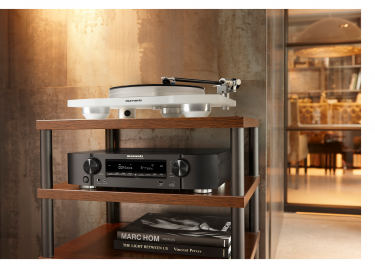 In addition to their home theater capabilities, the Marantz NR1509 and NR1609 Receivers also provide compatibility with the company's HEOS wireless whole-house audio platform. Typically people think of A/V receivers as big, black boxes. The new Marantz NR1509 and NR1609 Receivers break that stereotype by providing homeowners a choice of small-footprint home theater solutions. The space-friendly receivers offer consumers an array of features, including surround sound decoding, multiple HDMI inputs, 4K UltraHD video compatibility, wireless whole-house audio options, and Amazon voice control. "Marantz has a legacy of providing absolute top-notch audio solutions for consumers who value sound quality, visual clarity, ease-of-use and beauty above all else," says Emmanuel Millot, global brand director, Marantz. "The latest slimline network receivers continue to embody this tradition of excellence. Putting audio and video quality first, both receivers are packed with power and the latest video technologies. We've also added HEOS for multiroom wireless chops and Amazon Alexa support to easily control content with your voice." Exclusive to the $749 slimline NR1609 is object-based surround sound decoding with a choice of Dolby Atmos, DTS:X, and DTS Virtual:X formats, as well as Audyssey MultEQ and Dynamic Volume equalization technologies. At the heart of both the Marantz NR1509 and NR1609 receivers are discrete, high-current power amplifiers. Marantz rates the NR1609 to produce 50 watts per channel on all seven channels at 8 ohms (and the rated distortion with two channels driven is 0.08 percent). The company rates the NR1509 to produce 50 watts per channel for all of its five channels, and the amplifiers include the company's Hyper Dynamic Amplification Module (HDAM) circuitry, which helps the products produce an improved listening experience. Both products incorporate six HDMI inputs (the NR1609 includes eight HDMI inputs), as well as HDMI outputs that support HDCP 2.2 copyright protection, ARC and CEC. The receivers also support 4K at 60Hz with 4:4:4 chroma subsampling, and the HDR10, Dolby Vision and Hybrid Log Gamma (HLG) high dynamic range (HDR) formats. Moreover, the receivers allow for the playback of ALC, FLAC and WAV audio files up to 24-bit/192kHz; 2.8MHz and 5.6MHz DSD files, and they enable wireless streaming via Bluetooth and/or Apple AirPlay. The NR1509 and NR1609 provide wireless whole-house audio options through the company's proprietary built-in HEOS platform, ensuring both receivers' ability to deliver whole-house entertainment. Wow. Not one word about the most significant upgrade this unit has over the NR1608…but the picture at the top tells the tale. 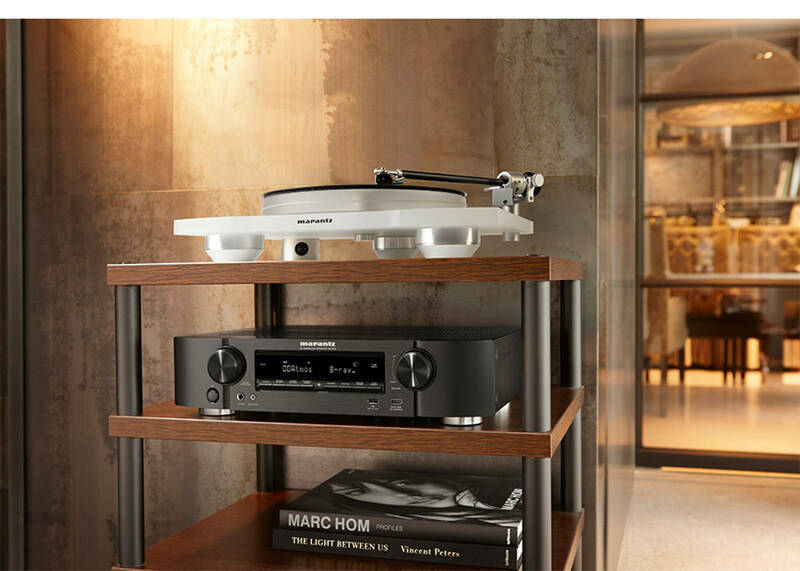 Marantz is now including phono inputs on ALL of it’s AVRs now! No longer is the feature restricted to just the high end models. Additionally, Marantz has added full web-based controls, and Smart Remote Management (although I am not sure what that entails). They have also promised support for Apple’s Airplay 2 via a firmware update.